Tune up the zither: Third Man Museum. In the Washington Post, David Stewart White writes about the devoted collector who has opened a Vienna museum dedicated to the Carol Reed film of Graham Greene's novella. Film costar Joseph Cotten talks about the production and remeeting some of his castmates years later in his autobiography, Vanity Will Get You Somewhere. In Whispering City (1947), Lifeboat's Mary Anderson is a reporter who learns that the death of an actress's fiance was no accident and may involve a smooth and calculating lawyer (Paul Lukas), who is busily blackmailing a composer (Helmut Dantine, best known for Mrs. Miniver and Casablanca). Set in Quebec, the film features Canadian composer Andre Mathieu's evocative "Quebec Concerto." 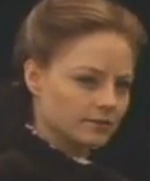 New TV version of Mystery of a Hansom Cab. Just in time for Halloween, Clues 30.2 has been published—a theme issue on paranormal mysteries guest edited by Agatha and Macavity nominee A. B. Emrys. A quick rundown of the content appears below; I'll insert links once the articles are uploaded to the McFarland Metapress Web site. Go here for details on ordering the issue or subscribing. The cover features Kevin Bacon in Stir of Echoes. Introduction: From Psychical Investigation to Paranormal Detective A. B. EMRYS (emerita, University of Nebraska-Kearney). 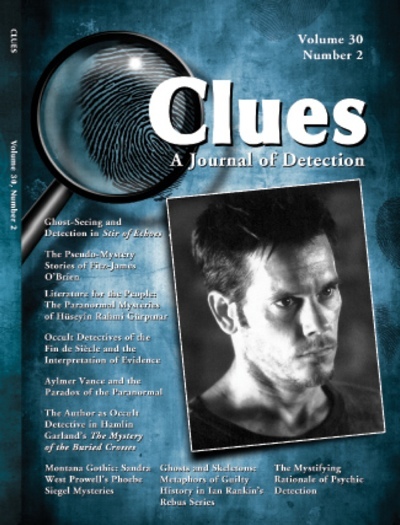 The guest editor of this Clues theme issue on paranormal mysteries introduces the issue, outlining the themes of the contributor essays and mentioning authors such as Alice and Claude Askew, Wilkie Collins, Arthur Conan Doyle, Hamlin Garland, Hüseyin Rahmi Gürpinar, Fitz-James O’Brien, Sandra West Prowell, and Ian Rankin. What Are They? The Pseudo-Mystery Stories of Fitz-James O’Brien PETE ORFORD The works of Fitz-James O’Brien are largely forgotten. The author considers how two of O’Brien’s works resemble early detective ﬁction and assesses how the stories’ hero, Harry Escott, both conforms to and subverts the ﬁgure of the detective as presented by the bookending icons of C. Auguste Dupin and Sherlock Holmes. Literature for the People: The Paranormal Mysteries of Hüseyin Rahmi Gürpınar ÖZGÜR ÇIÇEK (Binghamton University, SUNY) and IRMA KERTUNA-HOWISON (Beykent University, Istanbul). The authors examine Hüseyin Rahmi Gürpınar’s paranormal mysteries in the context of the modernization of the late Ottoman Empire. His popular style, distinctive from other Westernizing movements at the time, as well as his incorporation of traditional narrative techniques, reveal how Gürpınar hybridizes the Western genre of paranormal mystery in early Turkish literature. CSΨ: Occult Detectives of the Fin de Siècle and the Interpretation of Evidence SARAH CROFTON (King's College, London). Early occult-detective ﬁction aped the familiar detective formula, playfully substituting its basis in criminalistics for psychical research. In disrupting the archetype, it draws attention to a gap traditionally elided in detective ﬁction but at the heart of occultism: that between proof in its absolute sense and the persuasive proof of a convincing story. Aylmer Vance and the Paradox of the Paranormal OLIVER TEARLE (Loughborough University, UK). How can the ever-mysterious world of the supernatural be successfully joined with the detective story, a genre that thrives on tying up loose ends in the narrative? Through a comparison of some of the best-known ﬁctional psychical detectives and investigators, this article seeks to explore the important issues surrounding this hybrid genre. Beyond the Border: The Author as Occult Detective in Hamlin Garland’s The Mystery of the Buried Crosses TIM PRCHAL (Oklahoma State University). Occult detectives probe ﬁctional mysteries rooted in the supernatural. In The Mystery of the Buried Crosses (1939), Hamlin Garland recounts his investigation into a real-life mystery involving spiritualism. Like the ﬁctional detectives, Garland urges readers to ponder the borders of their physical world but offers no deﬁnitive stance on supernatural intrusions. Montana Gothic: Sandra West Prowell’s Phoebe Siegel Mysteries RACHEL SCHAFFER (Montana State University Billings). Montana author Sandra West Prowell blends gothic and paranormal elements, including mysterious mansions, ghostly sightings, and prophetic dreams, as she examines issues of social justice, particularly for women and Native Americans, and highlights Native American spirituality, all from the irreverent point of view of private investigator Phoebe Siegel. Ghosts and Skeletons: Metaphors of Guilty History in Ian Rankin’s Rebus Series ERIN E. MacDONALD (Fanshawe College, Canada). The author examines Ian Rankin’s use of the gothic convention of the ghost in Black and Blue, Dead Souls, Set in Darkness, and “The Very Last Drop.” In these works, ghosts and skeletons are used as metaphors for Detective Inspector John Rebus’s guilt over past mistakes and for the dark past of his home city, Edinburgh. Ghost-Seeing and Detection in Stir of Echoes MURRAY LEEDER (Carleton University, Canada). The author explores the links between the ghost story and the classical detective story, using as a case study the 1999 ﬁlm adaptation of Richard Matheson’s Stir of Echoes (1959). The author explores the relationship of the restless dead to the living as well as the investment of the detective with powers to see a secret world hidden from everyday human vision. The Mystifying Rationale of Psychic Detection EDEN LEONE (Bowling Green State University, OH). Through an examination of the USA Network series Psych (2006–), the author discusses how the psychic detective subverts the model of rational detection as exempliﬁed by Sherlock Holmes. Homicide and Home-icide: Exhuming Ireland’s Past in the Detective Novels of Tana French SHIRLEY PETERSON (Daemen College, NY). Tana French’s Dublin Murder Squad series features police procedurals in which homicide investigations act as a social critique of “home-cide” in the “new” Ireland spawned by the economic boom known as the Celtic Tiger. Dublin is a crime scene in which victims of its inconvenient past refuse to stay buried until justice is served. The return of The Female Detective (1864). Due out today from the British Library (distrib. U Chicago P) is The Female Detective (1864) by Andrew Forrester (pseud. 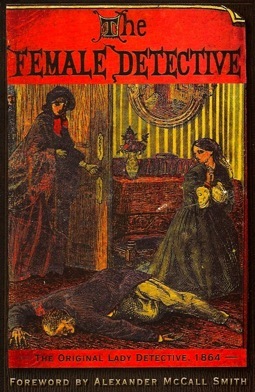 of James Redding Ware), an important work in the evolution of the fictional female detective with the title character, who uses the name Miss Gladden. This edition has a foreword by Alexander McCall Smith and an introduction by Mike Ashley. Scholars' Facsimiles and Reprints also has reissued The Female Detective with Revelations of a Lady Detective (1864, attrib. to W. S. Hayward) under the title The First Female Detectives. Margaret Millar's "Rose's Last Summer" (1960). In "Rose's Last Summer" (October 1960 episode of Thriller, directed by Arthur Hiller and based on the book by Edgar winner and Grand Master Margaret Millar), Mary Astor plays an alcoholic former actress who is found dead under mysterious circumstances. A suspicious friend (Lin McCarthy) teams up with her ex-husband (Jack Livesey) to investigate. Lady of burlesque (and mystery). Feminist Press notes that a number of independent bookstores are participating in giveaways this month of some of its mystery titles: Gypsy Rose Lee's recently reissued Mother Finds a Body (with a foreword by her son, Erik Lee Preminger) and its predecessor, The G-String Murders; Dorothy B. Hughes's In a Lonely Place; and Vera Caspary's Laura. Here is Barbara Stanwyck jitterbugging and performing Russian splits in Lady of Burlesque (film adaptation of The G-String Murders). 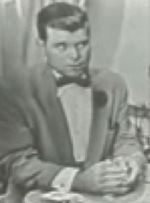 Barry Nelson debuts as James Bond, 1954. The Paley Center for Media recalls that today in 1954, Barry Nelson became the first actor to portray James Bond (in "Casino Royale," on Climax!). McCloy, Moyes, and White reissued. • MWA Grand Master Helen McCloy, Through a Glass, Darkly (1950). A doppelganger means trouble for a teacher and psychiatrist Basil Willing. The New York Times deemed it one of the best mysteries of 1950. Wrote Dorothy B. Hughes about the book in the Dec. 3, 1950, Washington Post, "Not since the late Bayard Veiller's 'Bait for a Tiger' has this reader been filled with such actual fear by a printed page." • Patricia Moyes, Who Saw Her Die? (aka Many Deadly Returns, 1970). 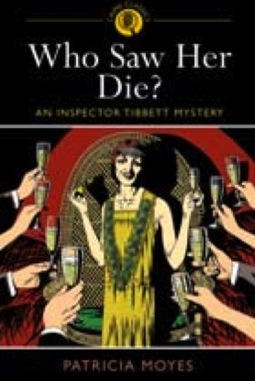 In this Edgar-nominated novel, Detective Chief Superintendent Henry Tibbett must figure out how a widow died. • Ethel Lina White, Some Must Watch (1933). A killer preys on vulnerable women in this novel by the author of The Lady Vanishes that was adapted as Robert Siodmak's The Spiral Staircase. A man is uncertain if his dream of committing murder is just a dream—or reality. The film, based on "And So to Death" (1941, later repr. as "Nightmare") by Cornell Woolrich under the pseudonym of William Irish, stars Star Trek's DeForest Kelley. Happy birthday, Ed McBain/Evan Hunter. To commemorate today's birthday of the late police procedural pioneer Ed McBain (aka author-screenwriter Evan Hunter, born in New York City in 1926), why not watch this clip from Cop Hater (1958)? Eyes in the Night (1942). In Eyes in the Night (1942, dir. Fred Zinnemann), Edward Arnold plays a blind detective who uncovers a Nazi plot. The film is an adaptation of The Odor of Violets (1940) by Mystery Writers of America cofounder and Grand Master Baynard Kendrick (see also the TV program Longstreet based on Kendrick's work). The follow-up film, The Hidden Eye (1945), was scripted by MWA Grand Master George Harmon Coxe. Happy birthday, Jill Ker Conway. Author Jill Ker Conway, the first female president of Smith College, turns 78 tomorrow. Best known for her memoirs The Road from Coorain and True North, Conway also wrote Overnight Float (2000) with Elizabeth T. Kennan (former president of Mt. Holyoke College) under the pseudonym Clare Munnings. 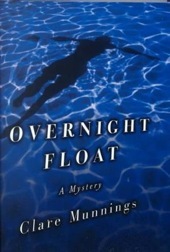 Overnight Float features a college chaplain pursuing the killer of a college official. In the 1949 Studio One production of Dashiell Hammett's "Two Sharp Knives" (1934), a police chief has his doubts about the case of a man accused of murder. The episode features Abe Vigoda and is directed by Franklin J. Schaffner (Papillon, Patton, Planet of the Apes). Note that there is also a 1942 radio version of "Two Sharp Knives" from Suspense. Exhibition: Famous Trials and Their Legacies. UC–Berkeley's online exhibition "Famous Trials and Their Legacies" looks at cases such as the Salem witch trials and the Martin Guerre episode that was the basis for the films The Return of Martin Guerre and Sommersby.